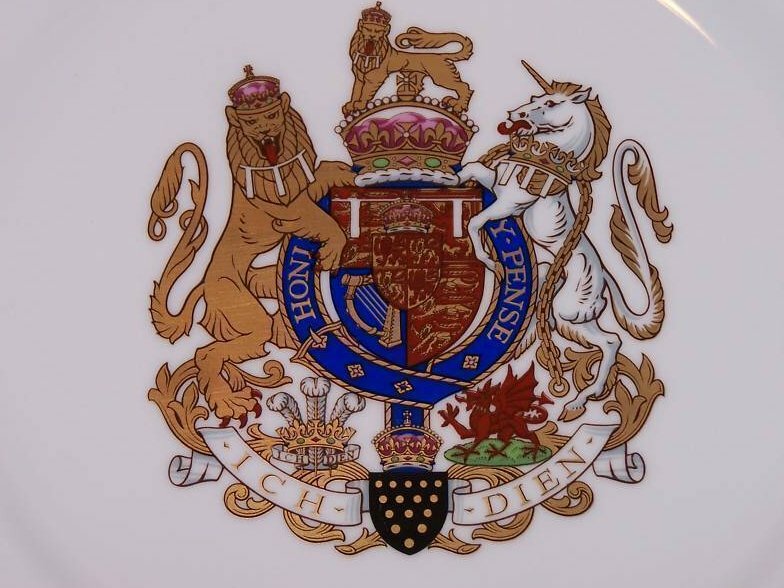 This beautiful plate, commemorating the Investiture of His Royal Highness, Charles, Prince of Wales, depicts the prince's coat of arms in the center, with a green-and-black border representing the land and industry of Wales. 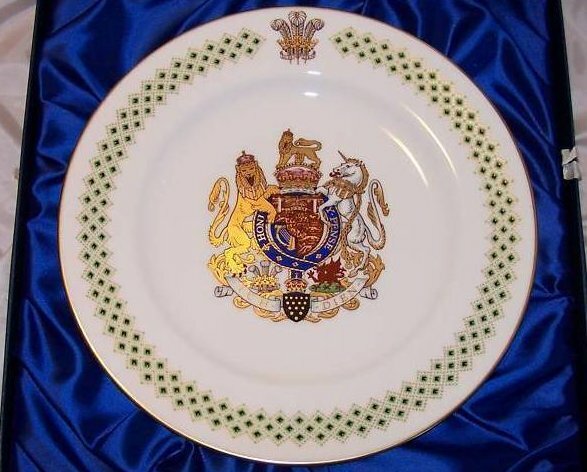 Rich enamels and 22-carat gold were used in the creation of this fine bone china plate in 1969. 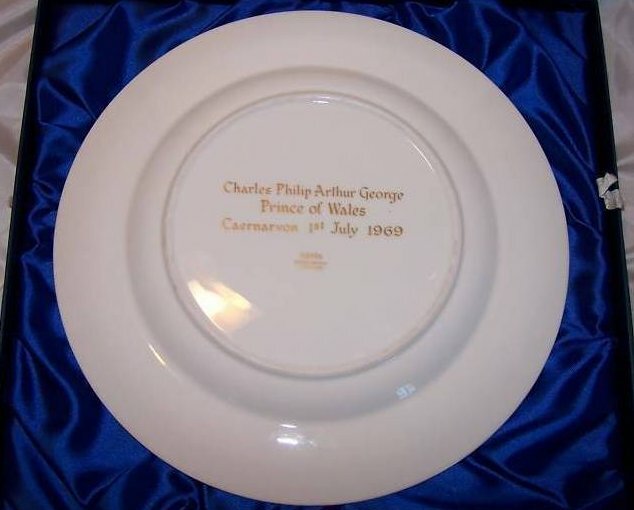 One of only 1,500 ever produced, this plate comes in its original presentation box, with its informational booklet enclosed. 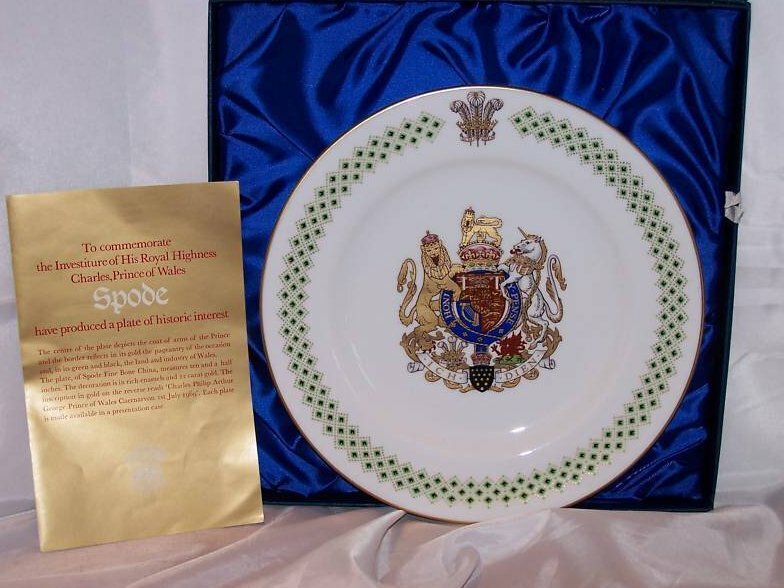 Spode was founded in 1770 by Josiah Spode in a factory at Stoke-on-Trent, England. Josiah revolutionized the English ceramic industry with his technical skills and creativity. He perfected the technique of transfer printing on earthenware from hand-engraved copper plates. 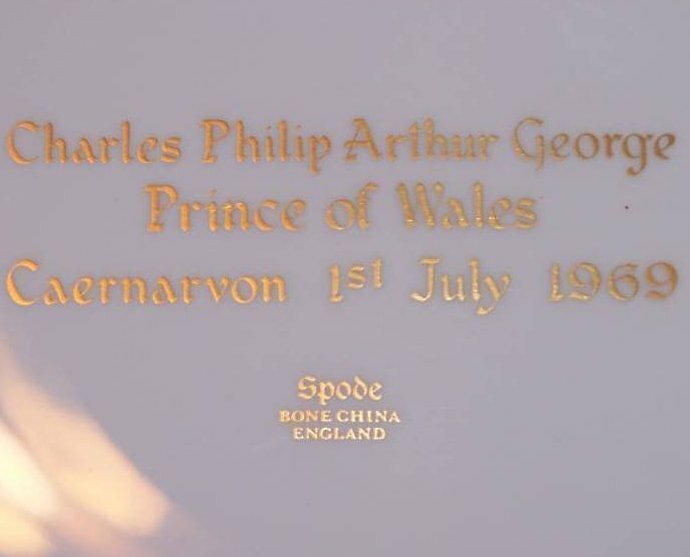 Spode China is still made using the original formula and is considered the whitest and strongest bone China made. 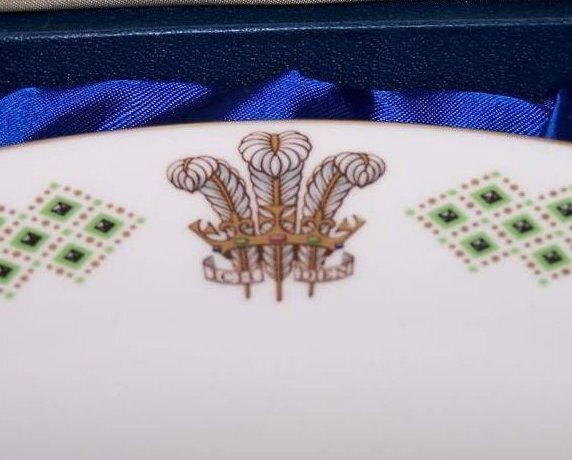 In approximately 1833, Spode was purchased by Copeland and Sons.